- Ability to install custom rom. The three advantages stated above is a big deal to unrooted android phones or tablets. Today's stroll, I would brief you guys about the 5 Best Free Android Apps Recommended for Rooted Android Phone & Tablets. I have always recommended this app for anyone with rooted android phones or tablets. Greenify is one genius app that makes sure your rooted android device performs faster and battery performs more efficiently no matter the hundreds of app already installed on your device. It also helps you detect any faulty app and put them into hibernation when they are not in use, and this function helps to avoid lagging of your device and also reduce consumption of android battery. Another good function of greenify is that it keeps all background app on low key (becomes out of service) except they are being used by the operator. Apart from the above mentioned features, greenify also acquires some other advancements, so I advice you install greenify app on your rooted android phone or tablet. It's one of the fastest two-way syncing method. It automatically detects the other device in use. It also works with cloud integration, just like the drive, dropbox, box, and ftp. Also renders clean, holo-themed UI which is compatible for all screen size. It also supports background syncing, with flexible notifications (just for android v4.1+). Supports real-time syncing and other great features. So if you are looking for the best app to synced up between multiple, datasync works best for you. RAM booster is an impressive android app that works on rooted android phones or tablets. 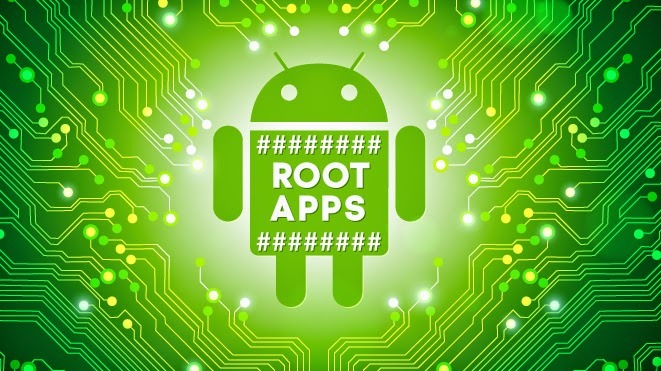 The app is responsible for the RAM management of your rooted android device by managing the RAM process. I also recommend you go through this tutorial about the best ways to boost the RAM of your android device. The app is also useful, so I advice you download it. Titanium backup is the best backup tool for any rooted android device. The app is very useful and acquires loads of features. So if you need a cool tool for file backup, I recommend you make use of titanium backup. I also advice you check out the best android tools for files backup (both rooted and non-rooted device). Solid explorer is one cool file manager for rooted android device. It's very much user friendly with two independent panels which you can drag and drop inside the panels, and also brings a very impressive browsing experience. With solid explorer, you can easily share files between various location which includes your cloud, PC shares and also root folders. The solid explorer also provide you a wide support for all kind of cloud storage which includes, Google drive, Dropbox, Box, Mediafire, One drive and so many other cloud storage support. The solid explorer is also capable of extracting ZIP, RAR and TAR archives. RAM Booster is an amazing app for rooted phones. Already using it. Thanks for the others. Going to try the Solid Explorer.